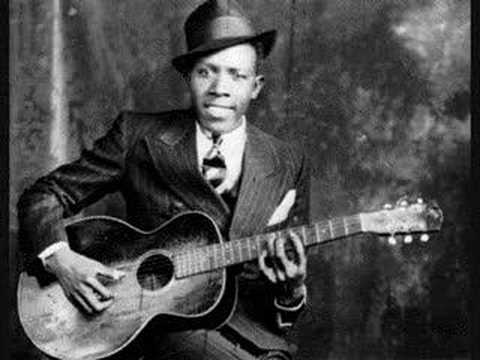 Robert Johnson's "Cross Road Blues" (1936) tells the story of how Johnson met the Devil at a cross-road at midnight, and sold his soul for the ability to play guitar like nobody ever had. You could think of him as one man doing a five-piece band's job. He played rhythm guitar, with a melody strummed on top, a bass line following along on bottom, while tapping his foot (that would be the drummer), and singing ALL AT THE SAME TIME! "Cross Road Blues" has been covered, riffed on, referenced, and elaborated from hundreds of times over the years. Whether you know it or not, "Cross Road Blues" has been an important influence on a vast number of people who heard it, and were inspired to make their own music. What we're saying is: a LOT of people love this song. So we are creating the Crossroad Project (in association with !FOCUSONHALLOWEEN)--inspired by the cycle OF inspiration that fuels artistic achievement. This will be an interactive collage of musical covers, in a format that has never been attempted before. And we want everyone to join in! Get a !TAG (we recommend using your !NAME or !BANDNAME), and upload a video of yourself covering a song that has inspired you. Doesn't matter if you're in your bedroom, performing at a jazz-club, or under the stairs at your high school--just choose a song that you love, and share it. Choose something that has a 'Halloween' vibe to it--ghosts, devils, witches, folk-tales out of the Black Forest, and whatever else Halloween conjures up for you. !FOCUSONHALLOWEEN has a number of useful Boards to draw on. Pick something that you can have fun with, and make your own! When you're ready, just email tagyorik@gmail.com saying that you want to be part of the Focus, and include a short description (three sentences max) of what you're sharing. We will add you to the list of Rays at the bottom of !FOCUSONHALLOWEEN. Please keep checking this Board for updates on the Crossroad Project.